Vandalism is keeping children and parents from making use of their local playground in Balgaddy. 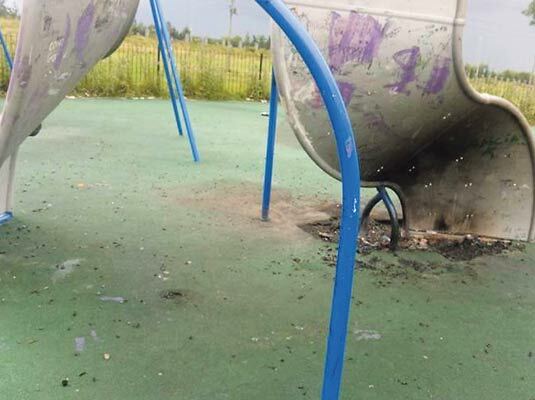 Cllr Mark Ward (SF) shared pictures last week of a climbing frame that had been damaged by fire over the weekend. 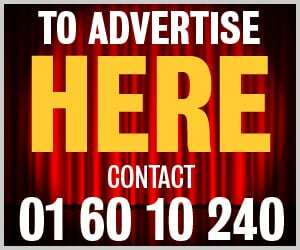 South Dublin County Council recently spent €20,000 upgrading the CCTV in the area but Cllr Ward told The Gazette that this no longer seems to act as a deterrent. “Vandalism has been an ongoing issue for a long, long time in the playground and the surrounding area,” he said. “It did die down for a while. “There was a noticeable decrease in the amount of reports regarding anti-social behaviour, vandalism and littering. Cllr Ward added that the ongoing vandalism meant that parents didn’t feel safe letting their children use the playground. “A playground should be used for what it is there for,” he said. “It’s for local children to get out and enjoy the amenities of the area. Cllr Ward paid tribute to the people of Balgaddy, most of whom have worked tirelessly to keep their area clean and tidy and want to make it a nice place to live. “There’s really good community spirit up there and people really want to bring their children up in a neighbourhood that’s safe,” he said. Cllr Ward said that he felt that the CCTV should be fed directly to Lucan or Ronanstown garda station rather than to the council offices as this would allow gardai to react immediately to any anti-social behaviour. South Dublin County Council said that they would consider the possibility of relaying CCTV direct to gardai. A spokesperson for the council said: “The council carries out inspections of the playground on a weekly basis and undertakes repairs to the equipment where required. “The council is aware of the recent vandalism and is currently examining options with regard to the repair/replacement of the equipment. “In the meantime the non-damaged area of the playground is open and available for use. “The CCTV footage is relayed to County Hall, Tallaght, where it is monitored and recordings are stored.